Students usually don’t think of themselves as a class. They seem “pre-class,” because they have not yet entered the labor force. They can only hope to become part of the middle class after they graduate. And that means becoming a wage earner – what impolitely is called the working class. But as soon as they take out a student debt, they become part of the economy. They are in this sense a debtor class. 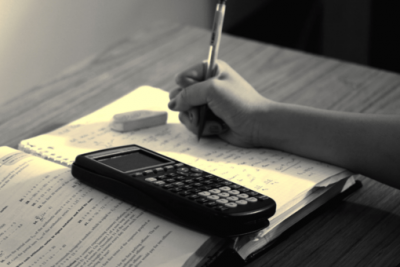 But to be a debtor, one needs a means to pay – and the student’s means to pay is out of the wages and salaries they may earn after they graduate. And after all, the reason most students get an education is so that they can qualify for a middle-class job. The middle class in America consists of the widening sector of the working class that qualifies for bank loans – not merely usurious short-term payday loans, but a lifetime of debt. So the middle class today is a debtor class. Shedding crocodile tears for the slow growth of U.S. employment in the post-2008 doldrums (the “permanent Obama economy” in which only the banks were bailed out, not the economy), the financial class views the role industry and the economy at large as being to pay its employees enough so that they can take on an exponentially rising volume of debt. Interest and fees (late fees and penalties now yield credit card companies more than they receive in interest charges) are soaring, leaving the economy of goods and services languishing. Although money and banking textbooks say that all interest (and fees) are a compensation for risk, any banker who actually takes a risk is quickly fired. Banks don’t take risks. That’s what the governments are for. (Socializing the risk, privatizing the profits.) Anticipating that the U.S. economy may be unable to recover under the weight of the junk mortgages and other bad debts that the Obama administration left on the books in 2008, banks insisted that the government guarantee all student debt. They also insisted that the government guarantees the financial gold-mine buried in such indebtedness: the late fees that accumulate. So whether students actually succeed in becoming wage-earners or not, the banks will receive payments in today’s emerging fictitious “as if” economy. The government will pay the banks “as if” there is actually a recovery. And if there were to be a recovery, then it would mean that the banks were taking a risk – a big enough risk to justify the high interest rates charge on student loans. This is simply a replay of what banks have negotiated for real estate mortgage lending. Students who do succeed in getting a job hope to start a family, or at least joining the middle class. The most typical criterion of middle-class life in today’s world (apart from having a college education) is to own a home. But almost nobody can buy a home without getting a mortgage. And the price of such a mortgage is to pay up to 43 percent of one’s income for thirty years, that is, one’s prospective working life (in today’s as-if world that assumes full employment, not just a gig economy). Banks know how unlikely it is that workers actually will be able to earn enough to carry the costs of their education and real estate debt. The costs of housing are so high, the price of education is so high, the amount of debt that workers must pay off the top of every paycheck is so high that American labor is priced out of world markets (except for military hardware sold to the Saudis and other U.S. protectorates). So the banks insist that the government pretends that housing as well as education loans not involve any risk for bankers. The Federal Housing Authority guarantees mortgages that absorb up to the afore-mentioned 43 percent of the applicant’s income. Income is not growing these days, but job-loss is. Formerly middle-class labor is being downsized to minimum-wage labor (MacDonald’s and other fast foods) or “gig” labor (Uber). Here too, the fees mount up rapidly when there are defaults – all covered by the government, as if it is this compensates the banks for risks that the government itself bears. In view of the fact that a college education is a precondition for joining the working class (except for billionaire dropouts), the middle class is a debtor class – so deep in debt that once they manage to get a job, they have no leeway to go on strike, much less to protest against bad working conditions. This is what Alan Greenspan described as the “traumatized worker effect” of debt. Do students think about their future in these terms? How do they think of their place in the world? Students are the new NINJAs: No Income, No Jobs, No Assets. But their parents have assets, and these are now being grabbed, even from retirees. Most of all, the government has assets – the power to tax (mainly labor these days), and something even better: the power to simply print money (mainly Quantitative Easing to try and re-inflate housing, stock and bond prices these days). Most students hope to become independent of their parents. But burdened by debt and facing a tough job market, they are left even more dependent. That’s why so many have to keep living at home. The problem is that as they do get a job and become independent, they remain dependent on the banks. And to pay the banks, they must be even more abjectly dependent on their employers. A fatal symbiosis has emerged between banking and higher education in America. Bankers sit on the boards of the leading universities – not simply by buying their way in as donors, but because they finance the transformation of universities into real estate companies. 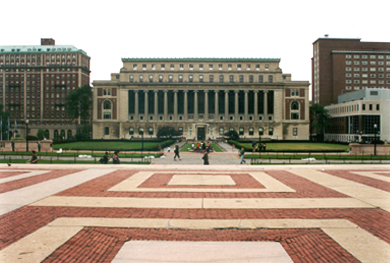 Columbia and New York University are major real estate holders in New York City. Like the churches, they pay no property or income tax, being considered to play a vital social role. But from the bankers’ vantage point, their role is to provide a market for debt whose magnitude now outstrips even that of credit card debt! 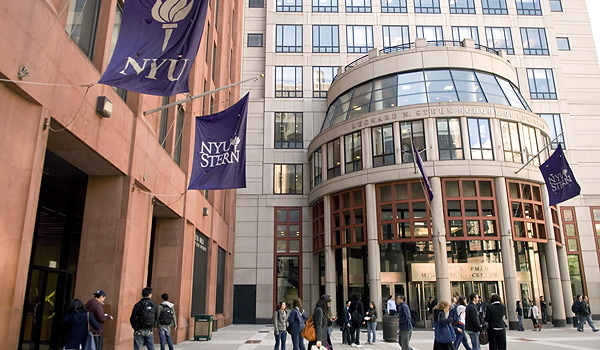 Citibank in New York City made what has been accused of being a sweetheart deal with New York University, which steers incoming students to it to finance their studies with loans. In today’s world a school can charge as much for an education as banks are willing to lend students – and banks are willing to lend as much as governments will guarantee to cover, no questions asked. So the bankers on the school boards endorse bloated costs of education, knowing that however much more universities make, the bankers will receive just as much in interest and penalties. It is the same thing with housing, of course. However much the owner of a home receives when he sells it, the bank will make an even larger sum of money on the interest charges on the mortgage. That is why all the growth in the U.S. economy is going to the FIRE sector, owned mainly by the One Percent. Under these terms, a “more educated society” does not mean a more employable labor force. It means a less employable society, because more and more wage and consumer income is used not to buy goods and services, not to eat out in restaurants or buy the products of labor, but to pay the financial sector and its allied rentier class. A more educated society under these rules is simply a more indebted society, an economy succumbing to debt deflation, austerity and unemployment except at minimum-wage levels. For half a century Americans imagined themselves getting richer and richer by going into debt to buy their own homes and educate their children. Their riches have turned out to be riches for the banks, bondholders and other creditors, not for the debtors. What used to be applauded as “the middle class” turns out to be simply an indebted working class. Michael Hudson is the author of Killing the Host (published in e-format by CounterPunch Books and in print by Islet). His new book is J is For Junk Economics. He can be reached at [email protected].